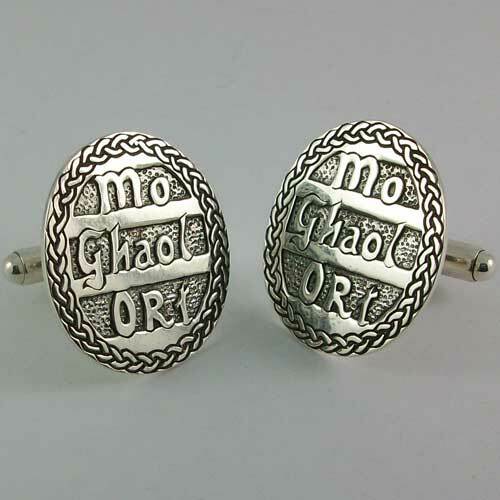 Gaelic phrase Mo Ghaol Ort (pronounced Mo Goul Orched) is enscrypted into silver celtic design cufflinks. The phrase means 'My Love On You' - a token of friendship or love. Celtic jewellery handcrafted in Scotland. Hallmarked at the Edinburgh Assay Office.